The final chapter of Hidekichi Matsumoto's survival game-themed comedy manga Sabagebu! is published in the January 2017 issue of Kodansha's Nakayoshi shoujo manga magazine released today in Japan. To celebrate the end of the manga's six-year serialization, the author has been posting countdown illustrations on her official Twitter. Check them after the jump. 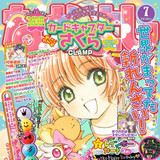 It has been confirmed that the July 2016 issue of Kodansha's monthly shoujo manga magazine Nakayoshi was sold out at stores only in a week from its release day in Japan, June 2. This is the first time in three years and four months for the magazine since its March 2013 issue that came with the "Manga Artist Set." Hit the jump for more details. 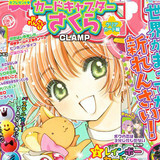 Card Captor Sakura is getting its own newspaper, the Card Captor Sakura Serial Newspaper, as part of the Takara Tomy booth at the International Tokyo Toy Show that's being held June 9-12. 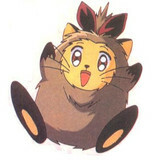 It'll be up for grabs for free, and there'll be a special booth at the show hosted by the adorable Kero-chan himself. 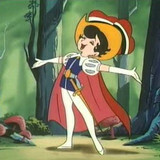 Hit the jump for more! 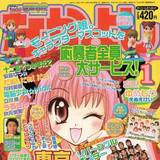 Japanese publisher Shueisha and Kodansha have announced that formaldehyde, an organic compound which can cause cancer, was found in the supplements of their shoujo manga and children magazines published between October 2014 and July 2015. Hit the jump for more details. 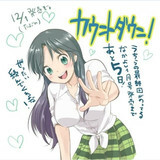 Kodansha's Nakayoshi shōjo manga magazine is celebrating its 60th anniversary with "Twinkle Songs", a collection of music from the anime adaptations of some of the most famous manga series to appear in Nakayoshi, such as Sailor Moon and Cardcaptor Sakura. Hit the jump to learn more. 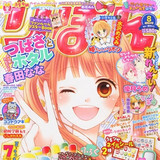 The 60th anniversary celebration of Kodansha's Nakayoshi shōjo manga magazine continues as the publication preps to begin digital distribution beginning with its July 2015 issue. Hit the jump to learn more. 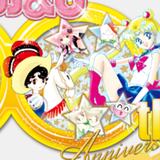 Kodansha's Nakayoshi shōjo manga magazine is coming up on its 60th anniversary, and Banpresto is helping them celebrate with a line of stuffed toys available as prizes at Japanese arcades. Hit the jump to learn more. 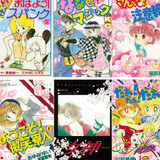 Several classic shoujo series are about to get their very own reprints, thanks to the Nakayoshi 60th Anniversary Masterpiece General Election contest, where readers were asked to chose their favorite masterpiece series from a long list of series that previously ran in the magazine. Hit the jump for more information!